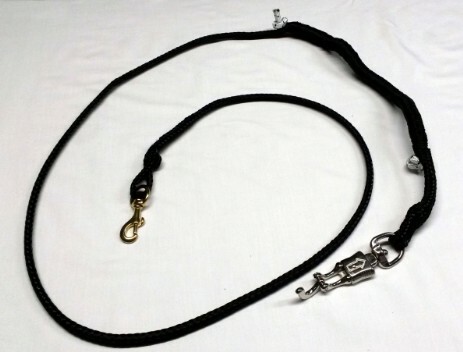 Our 2" Wide Skijoring Belt is designed to be worn over outdoor clothing and adjusts from 34″ to 53″. Belts are fully padded with Neoprene and include an accessory carabiner to clip on your line or lead. 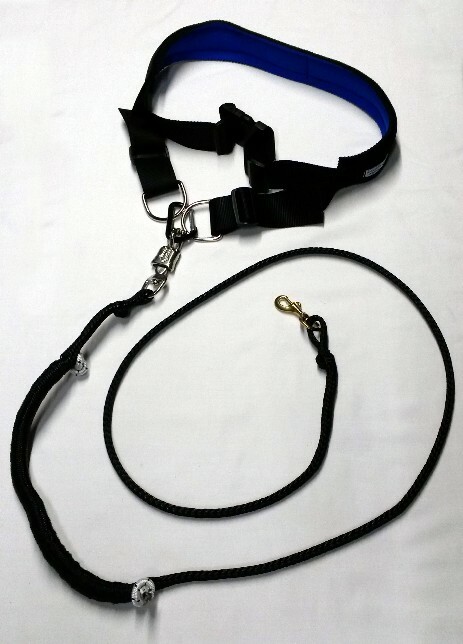 Our Skijoring Towrope includes 10' of line, a shock cord, a panic snap for the Belt and a 3/4" snap for the Harness. 10' of line gives your dog plenty of running room in front of your skis and the shock cord makes sure that neither you nor your dog get backaches from a jolting start. The panic snap is a safety item for the possibility that you might fall and can't easily get up while your dog is excitedly trying to pull you toward the "most interesting thing in the whole wide (dog) world"!! The panic snap allows you to detach from your dog quickly to avoid injury or tangle up. 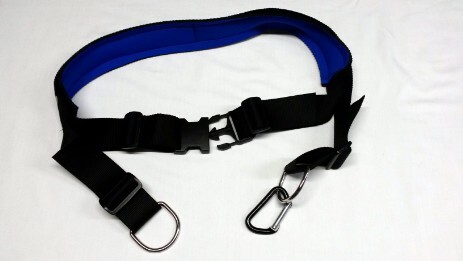 2" Belt, 10' Towrope and $ 5.00 off. A Great Combination!